From breakfast and brunch to dinner and dessert, crepes can be customized for any meal of the day, all by simply swapping them from sweet to savoury. Start with a simple batter then experiment with your favourite ingredient pairing in the toppings to ultimately create your very own special crepes. 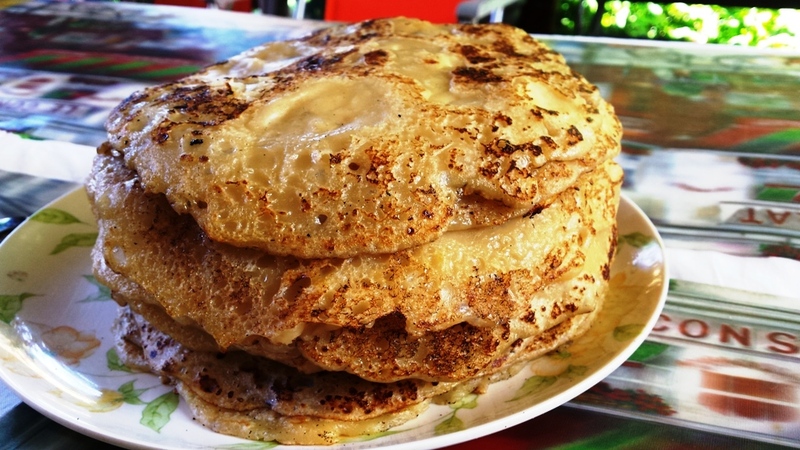 My mum makes the best ever pancakes which she does on a “tawa” she does not need anything fancy like non-stick skillet. When mum makes pancake batter, she makes so much batter it always looks like she intends to feed an army – oh yes I am not kidding. All the grandchildren take their seat at the kitchen breakfast table while the tawa is heating up – and the pancake production starts. They fly off the shelf or rather tawa, the speed that are gone is quite scary. But hey that’s what grandmothers/mothers do – and mama is no different the pleasure in feeding us is far more important. When the house is full of children mum forgets her aches and pain – happiness takes over, the best remedy. 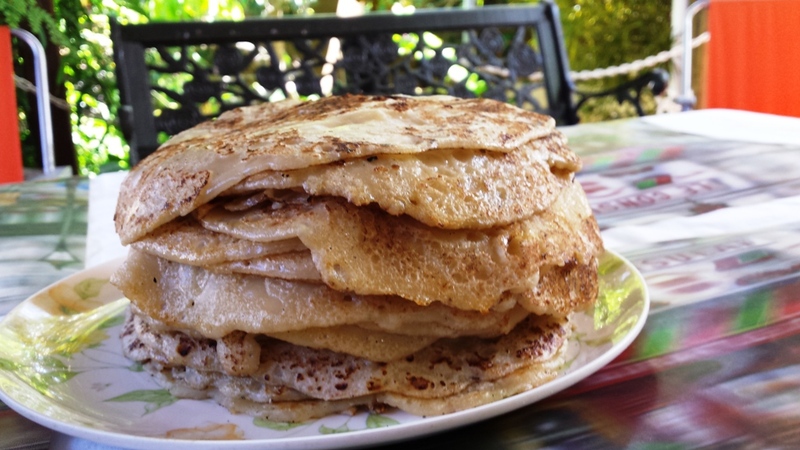 My version of mum’s pancakes with a twist an ultimate luxury pancake by adding one of the favoured ingredient…. you’ve guessed it the famous saffron. 2 Tbs desiccated coconut (optional) I choose to add coconut in my crepes because it’s one of my favourites ingredients and also my mum always add coconut to her crepes giving the crepes a tropical twist. Few strands of Saffron (optional) for a finishing touch. In a large bowl, mix the flour, sugar together. Now add the milk, water, vegetable oil and whisk into a smooth batter. Place a large skillet over medium-high heat and coat generously with melted butter of cooking spray. Using a ladle pour a full spoonful of the batter into the pan. Immediately start to swirl the pan over the heat to spread the batter into a large circle. When the edges of the crepe appear dry and lightly browned, flip the crepe and cook other side until lightly browned. Repeat with remaining batter. To keep warm you can put the cooked crepes in the oven set at 200 degrees – placing parchment paper between stacked crepes. This does not happen in my household as these pancakes are eaten as soon as they are taken off the pan. 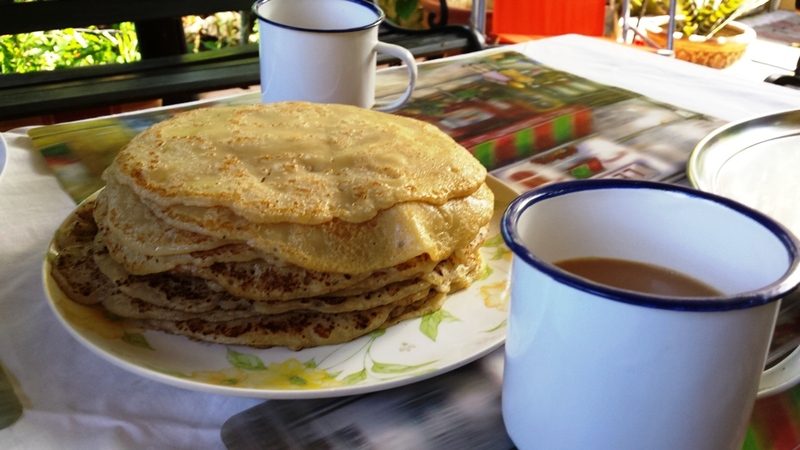 To serve, fold crepes and top with coconut and few stands of saffron soaked in warm syrup.